When Soldier dies the whole country weeps and gets the top of the worldrespect from Public, Govt., Defence officers, while a Billionaire simply dies, he could only dream of Soldier's respect. Our Tribute to # Nitin Yadav who foughtfor us and died for us. their sacrifice is an exemplary. With one of the Hero of "Kargil Vijay" Subedar Major Yogendra Singh Yadav youngest winner (19 year) of Param Vir Chakra (PVC) , the India's highest gallantry award, he is Commissioned Officer (JCO) of the Indian Army, he has got PVC for his bravely effort on 4 July 1999 action during the wining of TIGER HILL,Kargil. 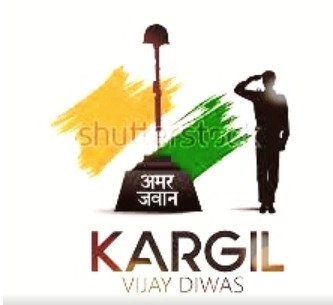 I salute him on "KARGIL VIJAY DIWAS -26 JULY "
Opening ceremony for the Tenth Indo-Russian Joint Exercise, INDRA-18 scheduled from 18 November to 28 November 2018 was held on 19 November 2018 at Babina Military Station. 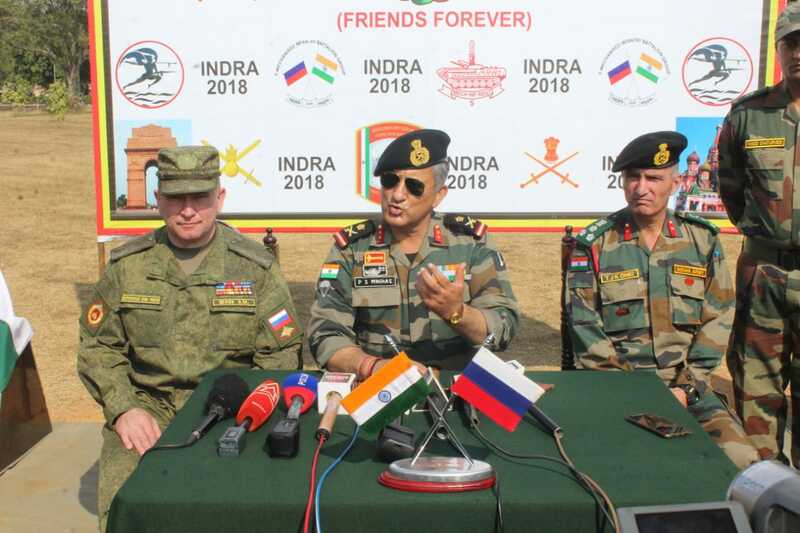 Company sized contingents of the 5 th Army of the Russian Federation and a Mechanised Infantry Battalion of Republic of India are participating in the exercise. Contingents of the participating nations came together for the opening ceremony. 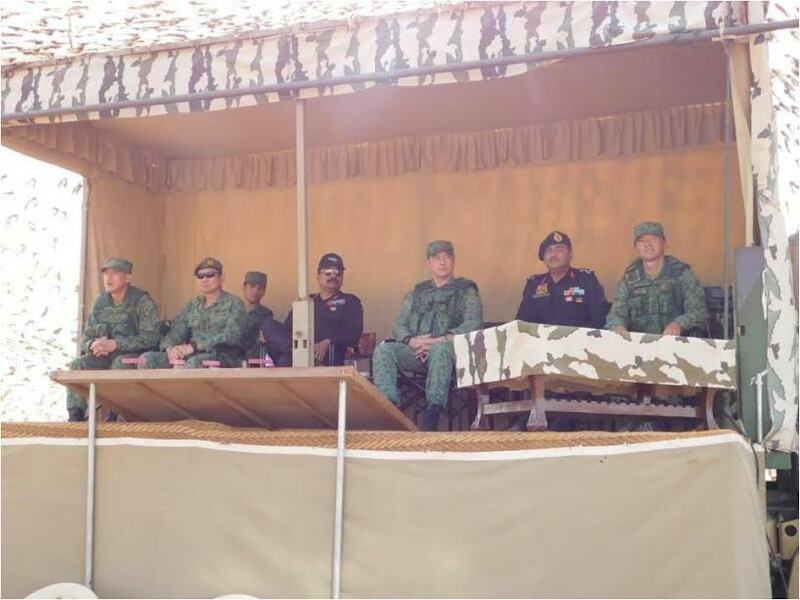 Major General PS Minhas, General Officer Commanding, White Tiger Division and Major General Tsekov Oleg Mussovich, Commander Eastern Military Districts from Russia, jointly reviewed the parade in presence of a number of officers and officials of the participating nations. There was a fly past of Army Aviation helicopters which carried the national flags of both the participating nations during the parade. The members of both the participating nations also interacted and familiarised with each other after the opening ceremony. The aim of the exercise is to practice joint planning and conduct to enhance interoperability of the two armies in the peace keeping environment under the aegis of United Nations. The eleven days exercise focuses upon training on enhancing team building and tactical level operations in a counter insurgency environment in semi urban terrain. 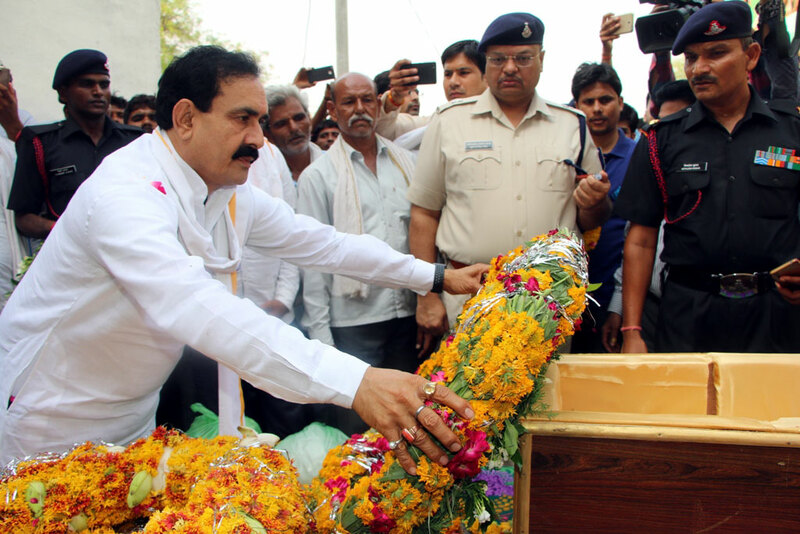 Public Relations, Water Resources and Parliamentary Affairs Minister Dr. Narottam Mishra today took part in the last rites of army jawan who laid down his life in Kashmir three days ago, Shri Ranjeet Singh Tomar of Rev village, at Datia district today. The last rites of Shri Tomar were performed with state honours at Rev village Raipur Sahni this morning in which thousands of people took part. PR Minister Dr. Mishra reached martyr Shri Tomar’s residence, laid a wreath and carried the martyr’s body during the funeral procession. Dr. Mishra said that the sacrifice of martyr Shri Tomar will be remembered for ages. He also met and consoled the bereaved family. The martyr was given a salute by a legion of jawans. The Chief Minister Shri Shivraj Singh Chouhan reached village Reva of Datia district today and paid floral tribute to the soldier of Indian Army Martyr Shri Ranjeet Singh Tomar. While consoling the family members, Shri Chouhan said that Shri Ranjeet was the true son of Bharat Maa. He has glorified the country by sacrificing his life. He further mentioned that martyrdom of brave Ranjeet will always be remembered. The Government of Madhya Pradesh is with the family of Martyr Ranjeet Singh at every moment. CM Shri Chouhan has announced that Samman Nidhi of Rs. One crore and the government service to one member of the martyr’s family will be given. Along with this, one residential flat will be given to the family in Datia city, martyr’s statue will be installed and the government institution will be named after him. It may be highlighted that Samman Nidhi of Rs. One crore each to the families of 6 martyr jawans of Police and Army has been given by the state government till now. Consoling the father Shri Pratap Singh Tomar and Mother Smt. Dropadi of the Martyr soldier, Shri Chouhan told them that the Madhya Pradesh Government is with them, your family is our family and it is our moral duty to take care of the family, which we will perform. Minister for Public Relations, Water Resources, Parliamentary Affairs Dr. Narottam Mishra, Members of Parliament Shri Prabhat Jha, Shri Rakesh Singh and Dr. Bhagirath Prasad, Vice Chairman of M.P. Text Book Corporation Shri Avdhesh Nayak. MLA Shri Ghanshyam Pironiya, other Public Representatives, Senior Officers of Administration and Police besides villagers in large number were also present at this moment of grief. A special programme was organized here at Sainik Rest House on Kargil Vijay Diwas. Detailed information related to Kargil war was given to the masses through a movie. Addressing the programme Chief Guest Major General T.P.S. 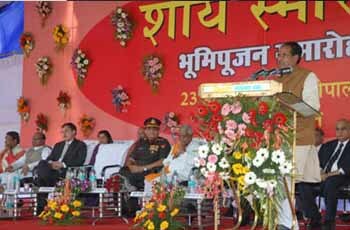 Rawat said that our forces are fully capable to protect the country’s border and people. 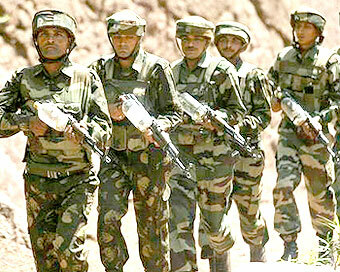 The Army had displayed great patience and courage under adverse circumstances and won the Kargil war. It was impossible for the Army of any other country to win this war. Major General Rawat told that our Army fought against all odds and defeated the enemy at such a distant place. 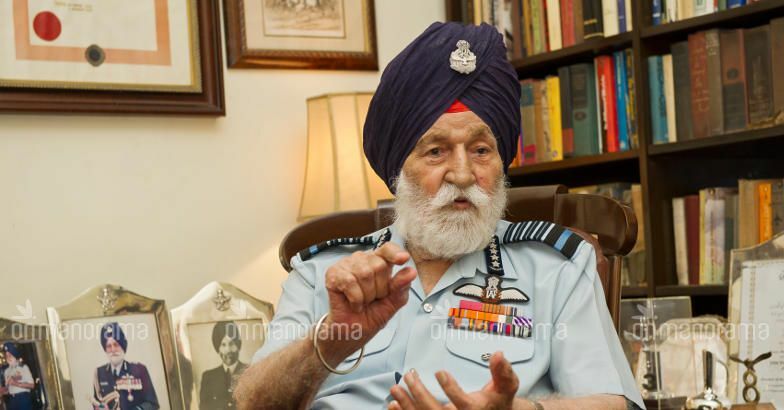 He said that our jawans dedicate maximum time and a golden period of their lives to the country. We should also keep a feeling of oneness and extend our cooperation to them. 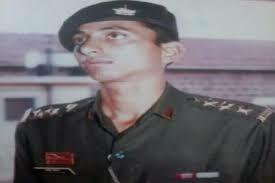 Maj. Gen. Ashok Kumar, Col. O.P. Mishra, Col. V.P Tripathi, Col. Pranav Mishra (Retired) gave detailed information about the conditions of Kargil war in the 16500 feet high snowy mountains and other wars that were fought and the Army strategy etc. Eight jawans lost their lives and 48 were injured in this war. The programme ended with the national song after tributes were paid to the Kargil martyrs. Col. Girijesh Saxena conducted the programme while Col. Yashwant K. Singh proposed the vote of thanks. Director Sainik Welfare Brig. R.S. 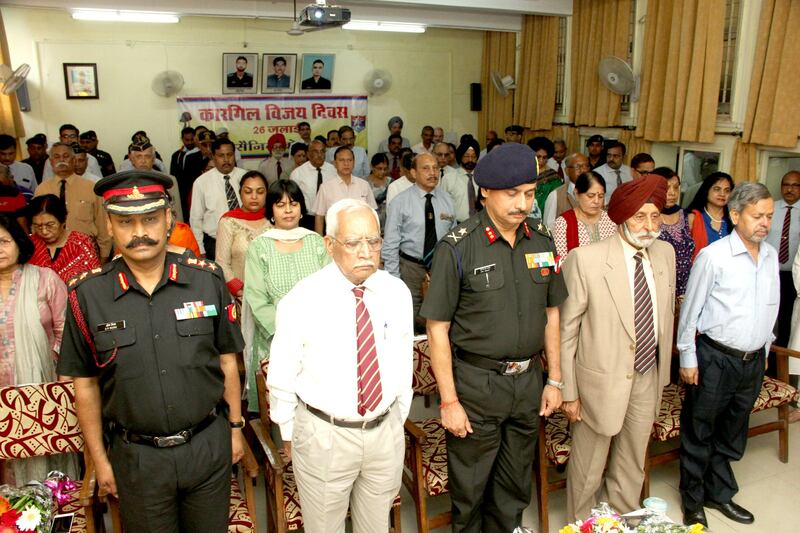 Nautiyal, Bhopal Ex-Services League President Col. S. Kumar, working/retired armymen, their relatives, government servants and elite citizens were present during the programme. 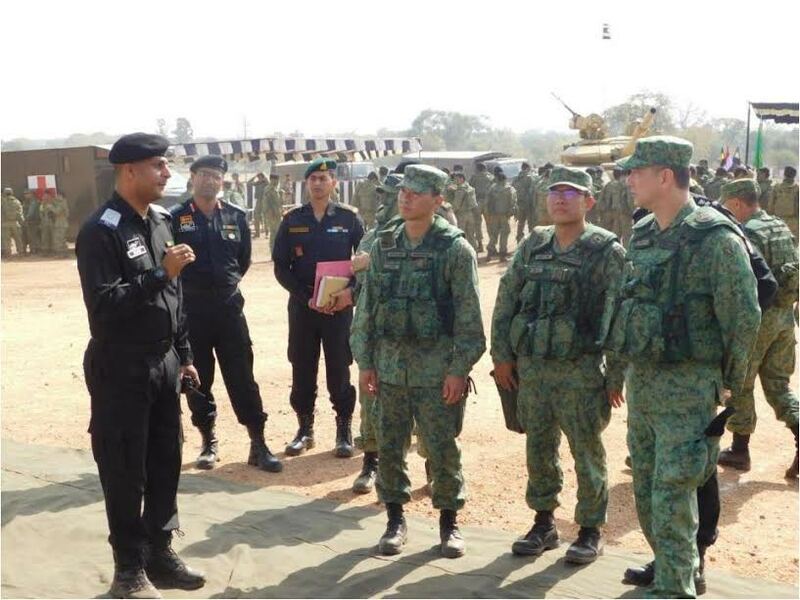 The Joint training of the Indian Army and Singapore Armed Forces (SAF), Ex BOLD KURUKSHETRA-2017 terminated at Babina Field Firing Ranges on 17 March 2017 with a Live Fire Demo conducted jointly by troops of both the armies. The Bilateral exercise was terminated with a closing ceremony presided over by Officiating GOC, White Tiger Division and Division Commander of SAF wherein customary handing over of company flag to SAF battalion and exchange of mementos was done. The bilateral exercise involved troops of both countries operating together to achieve inter-operability, mutual understanding and familiarisation with each other's equipment, drills and operational procedures. 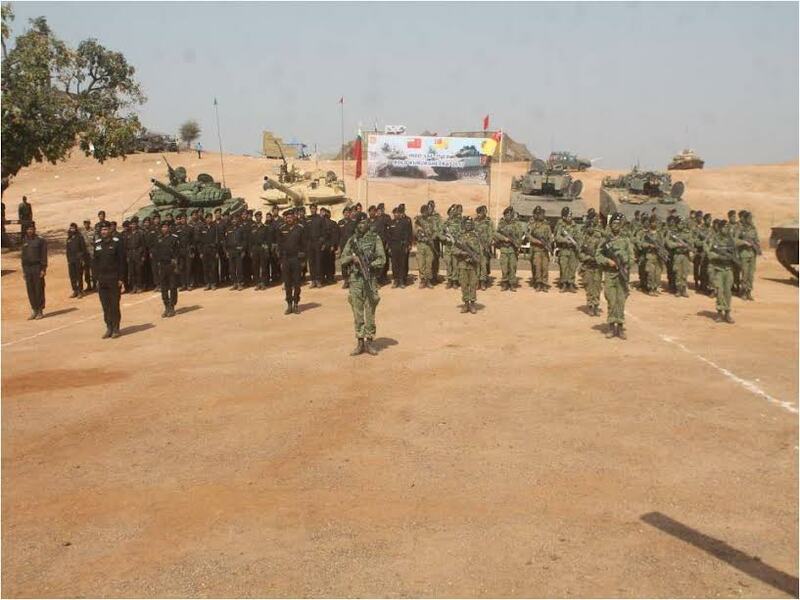 250 soldiers each of Indian Army and SAF participated in the exercise. The exercise involved conduct of various drills by the troops operating in complete integration as Joint Combat Teams. The exercise was conducted in a well coordinated, friendly and cooperative atmosphere. Both the Armies have shared their expertise and benefited with each other's experience. The Joint Military Exercise shall be yet another milestone in defence co-operation and military relations between the two countries. The Government of Madhya Pradesh has developed Shaurya Smarak, a War Memorial in the prominent locality of Arera Hills in Bhopal. 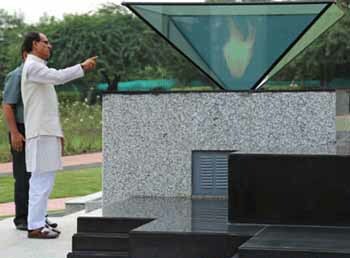 Shaurya Smarak, Bhopal is intended to provide a precinct for paying tribute and homage to all those who lay down their lives in service of the Nation's security. 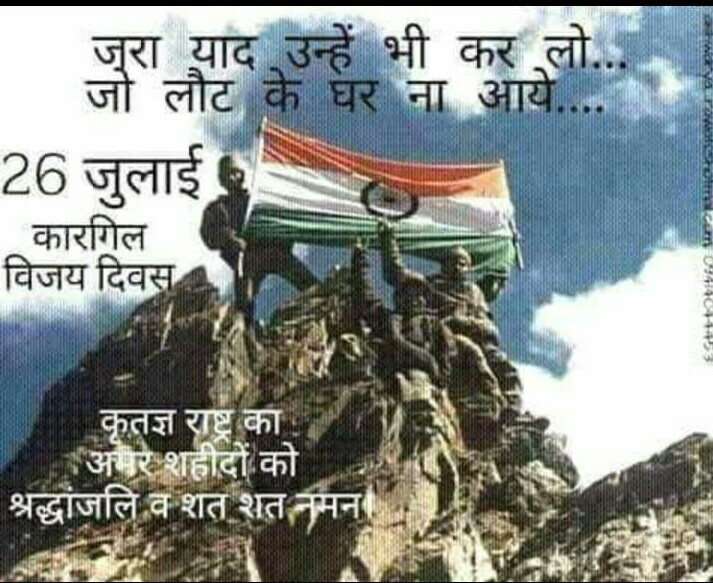 This is a tribute to personnel from Madhya Pradesh in all the Armed Forces. The Smarak has been built on a 12.67 acres (approx. 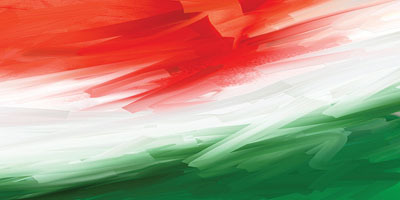 51,250 sqm) campus at a cost of Rs 41.00 crores. The built up area of the project is approximately 8,000 sqm. The concept for the design of Shaurya Smarak being interpreted as a shrine has taken reference from the historical edifices of traditional Indian Temples like those at Ellora, Khajuraho and Modhera. The sanctity of the temple axis is represented in the memorial with the final place for paying homage to those departed in War. What is paramount is that the memorial be perceived in a manner that it firstly concerns the feelings of an individual and the entire community and appropriately responds to it. The memorial being located in a city that is endowed with natural water bodies and huge expanse of undulating greens, the addition of the memorial is an act of enhancement of these natural attributes in the city of Bhopal. The programme dives into the site rather than rising out of it to remain in harmony with its immediate context. The Memorial has been envisaged as a journey through the various experiences of Life, War, Death and the liberation of the Spirit (Victory over Death), all exhibited through an extremely non-archetypal design. The forms, volumes and textures conceived in each of these zones depict, metaphorically, various aspects of this journey. Designed as a quasi-subterranean structure that is more submerged than visible on ground, it is intended to influence the mind and soul of the visitor by being contemplative in spirit and could possibly initiate a silent dialogue between the visitor and the departed. This emotional engagement of the viewer allows the individual's mentation to take precedence. Life: The arrival of life on earth is symbolised by a public square – the amphitheater of life (ups and downs of life) which are defined by the hard and soft textures of earth – represented by earthen brick steps, grass and water. War: The circular geometry represents a crater inflicted on earth. Humanity is distressed by calamity, deprivation and destruction. The texture is symbolic of the harshness of war – rough, chiselled local stone. Death: The small dark cube signifies death - an arena of melancholy, sorrow and lost hopes. It is the opportunity to experience the sudden darkness of death. Because of its darkness and scale there can be hope for Victory Over Death. 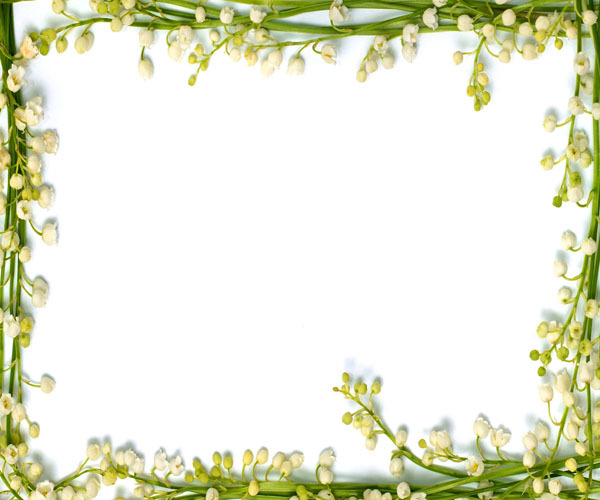 Victory over Death: In death, the physical form vanishes; the spirit survives. Being indestructible, we use the analogy of the eternal spirit in the final experience zone. The installation of a grid of transparent rods illuminated at the base and composed in disciplined military formation are symbolic in their aesthetics. The 62 feet high Stambh, rising from the ground, depicts the life of a soldier – nurtured within an atmosphere of freedom of choice, built on a foundation of inner strength and courage; the guardians of our country are steered by a sense of patriotism. Their sacrifices at various stages of life, and ultimately of life itself, have stemmed from love, ownership and fulfilment achieved by the prosperity of this large family, hence elevating them to a higher power - the sentinels of the almighty. Each granite disc of the Stambh represents this ascent. The earth (Army), water (Navy) and air (Air Force) are represented through the solidity of the granite stambh, the water body and the lightness of the white granite stone pedestal respectively. The traditional lamp, the eternal lamp which is lit in reverence to a martyr, is represented by a state-of-the-art holographic image. Names of the individual martyrs have been engraved for eternal remembrance and homage, in aluminium plates fixed on glass plaques. These plaques have been placed in close proximity to the Stambh. The abstract form of the sculpture is intentionally interpretative. It is a 'Vandana', a 'Namaskar' from the main axis and it also represents a 'Drop of Blood' from other view points. The interpretation centre is designed as a semi- open congregation space with an information display system, explaining the essence of the Memorial and providing a preview to visitors before physically experiencing it. It will describe the concept for the design of Shaurya Smarak, providing details of the different zones and the vision behind the design of this non-building Memorial. A film/walk through with picture clips along with write-up in Hindi and English, both the languages would facilitate Indian as well as foreign visitors coming to this Memorial. As an integrated part of the Memorial, a War Museum commemorating patriotism and valour of the Indian forces has also been planned. 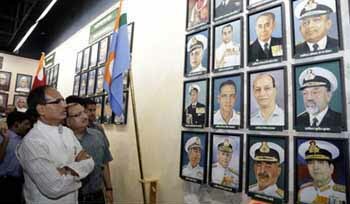 This Museum is a small showcase of the Indian Army, Navy and Air force containing thematic paintings of 'shaurya ' starting from Mahabharata period to freedom struggle, presenting a cultural history of our time along with paintings based on gallantry award winners like Paramveer Chakra and Mahaveer Chakra as proud exhibits. Different diorama of Army, Navy and Air force along with small models of aircrafts, tanks and ships will be a centre of attraction. It is imaginative and colourful presentation of valour of Indian forces and a humble tribute to the martyrs. EPCO, an organisation under the Environment Department was entrusted with the job of providing consultancy services for the architectural designing of the Memorial. EPCO conducted a National level competition for selection of Architect and M/s UCJ architecture & environment, Mumbai was selected. Capital Project Administration (CPA) is the Executing Agency for the project. 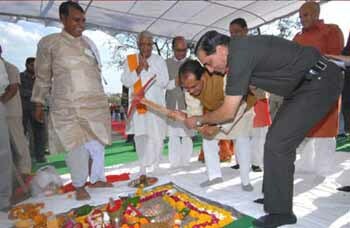 Memorials bhoomi poojan was performed by the Chief Minister Shri Shivraj Singh Chouhan in the presence of the then Army Chief General Deepwak Kapoor on February 23, 2010. The Memorial will be dedicated by the Prime Minister Shri Narendra Modi on October 14, 2016.